Roger S. Balser is the Managing Partner and Chief Investment Officer of Balser Wealth Management, LLC with more than twenty-five years experience. He works one on one with individuals and middle market companies to help regain control of their investment and retirement portfolio(s). Balser Wealth Management, LLC, 36873 Harriman Trail Avon, OH 44011, 440-934-3114, roger@balserwealth.com, www.balserwealth.com. Scott Benfield is a consultant to distributors and manufacturers in B2B channels. He can be reached at Scott@BenfieldConsulting.com or (630) 428-9311. Morris R. Beschloss, the widely acclaimed expert in the U.S. PVF industry. Starting his career with Hammond Valve, he has worked with Flow Control Group, Lunkenheimer, OIC, Ft. Pitt Steel Foundries, Valvulas Senkowski, Morrison Brass, and Conval International. Former president, chairman and board member of the Valve Manufacturers’ Association, he has also served the industry through the Industrial Piping Division of the American Supply Association, PVF Roundtable, and Association of Industry Manufacturers. Dan Foley is president and owner of Foley Mechanical, Inc. based in Lorton, Va. FMI specializes in radiant, hydronic and steam systems as well as mechanical systems for large custom homes. He can be reached at 703-339-8030; dfoley50@verizon.net; or www.foleymechanical.com. Chip Greene is president of Greene & Associates Inc., mechanical contracting firm based in Macon, Georgia. Greene is a graduate of Mercer University with a BBA degree in management and has more than 30 years of experience working on commercial HVAC and plumbing projects in the educational, medical and institutional markets. He also serves as the 2016 national president of the Plumbing-Heating-Cooling Contractors Association. Contact him at cgreene@greeneandassociatesinc.com. Carol Johnson is a project manager for Edmonds Engineering EEI. She has been in design and project management for 28 years. She is responsible for designing as well as educating and developing standards for EEI. She specializes in Fire and Plumbing for hospitals and commercial projects. She is the current ASPE VP Legislative and sits on multiple committees. She has been recognized as a leader in the plumbing industry and holds multiple credentials LEED AP, CFI, CPD. Reach out at CJohnson@Edmondsengineering.com. Stephen Minnich has nearly 40 years of experience in the heating industry, primarily installing and servicing hydronic systems. He most recently operated Minnich Mechanical Design, based in the Chicago suburb of Elk Grove Village. Minnich is currently an HVAC consultant for Elevate Energy, Chicago. BF Nagy specializes in sustainable technology solutions, government energy initiatives and modern economics. He writes for magazines, journals and clean tech organizations all over the world. He recently completed 15 years of expert interviews for a book that is nearing completion, entitled The New Energy Age. Steven Nudelman is a partner at the law firm of Greenbaum, Rowe, Smith & Davis LLP in Woodbridge and Roseland, New Jersey. He is a member of the firm’s Litigation Department and its Construction, Alternative Dispute Resolution and Alternative Energy & Sustainable Development Practice Groups. He may be reached at (732) 476-2428 or snudelman@greenbaumlaw.com. Harvey Ramer is the owner of Ramer Mechanical (RM) LLC. RM specializes in radiant heating and hydronic heating systems. The company also provides other mechanical services to the residential and light commercial market. Ramer also provides heating system design services and consultation across the country. Contact him at hrvramer@yahoo.com. Max Rohr is a graduate of the University of Utah and manager of REHAU Academy in Leesburg, Virginia. 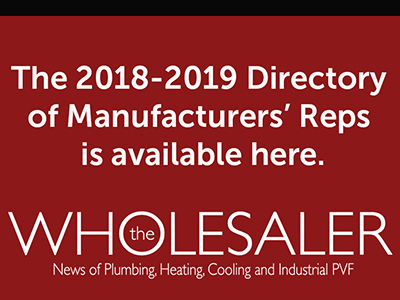 He has worked in installation, sales and marketing in the hydronics and solar industries since 1998 and writes this column in his personal capacity. The views expressed are his own and do not necessarily reflect those of the company he works for. He can be reached at max.rohr@mac.com and on Twitter @maxjrohr. Ellen Rohr is president of the franchise company, ZOOM Drain, www.zoomdrain.com, and offers "in the trenches" insights to contractors and family business owners. Reach her at (417) 753-1111 or ellen@ellenrohr.com. For free business tips, problem-solving webinars, money-making tools and lots of love, visit www.ellenrohr.com. Bob “Hot Rod” Rohr has been a plumbing, radiant heat and solar contractor and installer for 30 years. Rohr is a longtime RPA member and Plumbing Engineer and Phc News columnist. Bob joined Caleffi North America as manager of training and education. He can be reached at hotrodradiant@mac.com. Rich Schmitt is president of Schmitt Consulting Group Inc., a management consulting firm focused on distribution and manufacturing clients for pricing, consulting seminars and profit improvement. He is co-owner, and Jennifer Schmitt is VP/GM, of Schmitt ProfiTools Inc. (SPI), which provides web storefronts and handheld tools, print catalog software, content creation and services, and pricing management and analysis. Visit their company website at www.go-spi.com. Rich Schmitt can be reached directly at rich@go-spi.com and Jen Schmitt can be reached directly at jen@go-spi.com. Bristol Stickney has been designing, manufacturing, repairing and installing solar hydronic heating systems for more than 30 years. He holds a Bachelor of Science in Mechanical Engineering and is a licensed Mechanical Contractor in New Mexico. He is the Chief Technical Officer for SolarLogic LLC in Santa Fe, N.M., where he is involved in development of solar heating control systems and design tools for solar heating professionals. Visit www.solarlogicllc.com for more information.